This clapboard building in Ware Shoals was built as a store prior to the Civil War. Merchant James Wright Daniel opened the store with some business partners and called the mercantile the Bee Hive. James Martin purchased the store in 1878 and was the sole proprietor until his death the following year. Martin’s son then took over the business and ran it with his own sons. It remained in the Martin family until it closed in 1997. 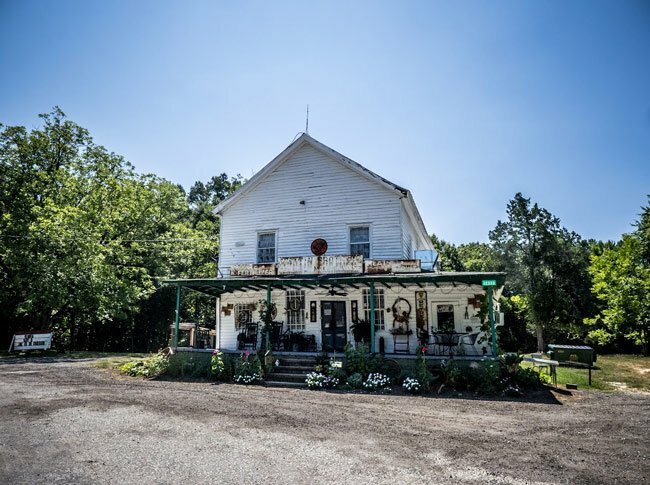 As was the role of the typical general store, Martin’s Store served as the community hub, offering necessary goods as well as providing space for a doctor’s office and a polling place. Groups such as the Masons and the Woodmen of the World met on the building’s second floor. 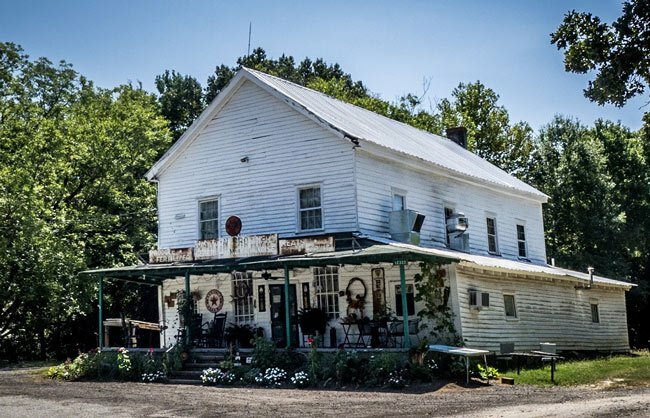 The historic building now houses a restaurant aptly called Martin’s General Store, continuing its tradition as a meeting place for locals. My husband and I had lunch there yesterday. The hospitality, the locale, and the food were wonderful.